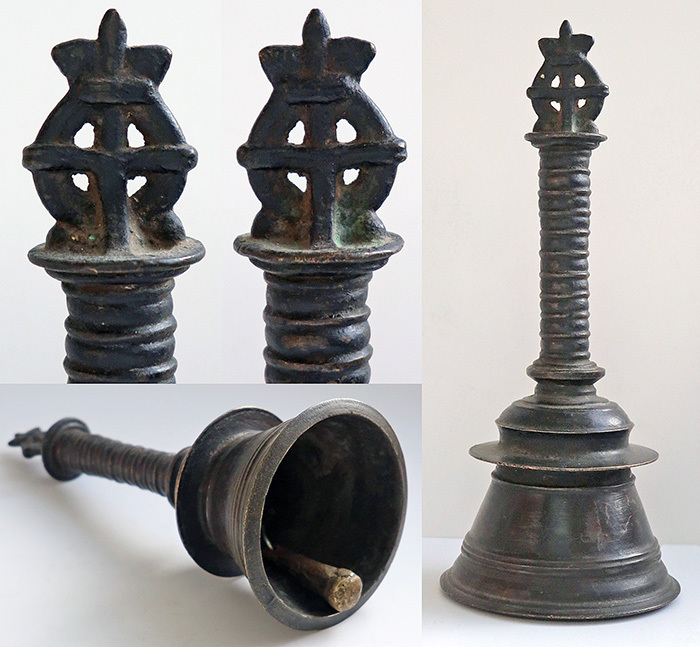 THE ANTIQUE TEMPLE AND RITUAL BELLS offered for sale here were sourced in India and Nepal and date from the 18th and 19th century. 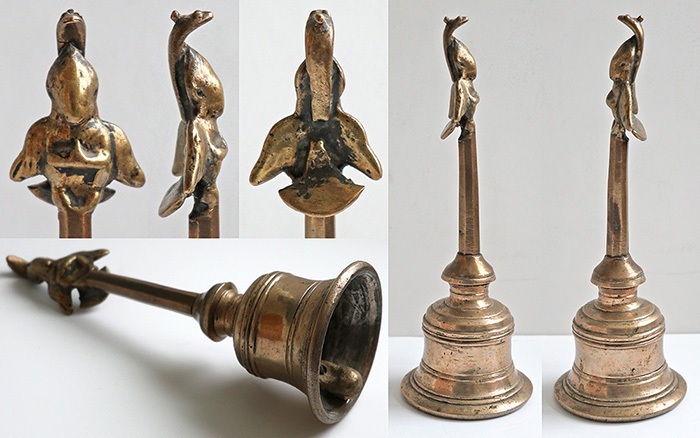 They represent the finest examples of ritual bells to be found anywhere in the world. 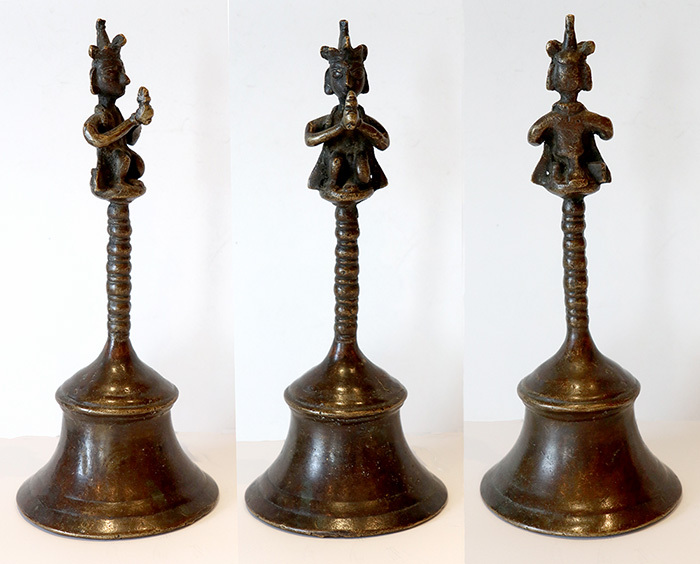 When you buy, handle, and ring one of these antique bells you can be confident that it is a genuine and revered holy instrument that has played an important part in countless sacred rituals and ceremonies for at least 100 years. 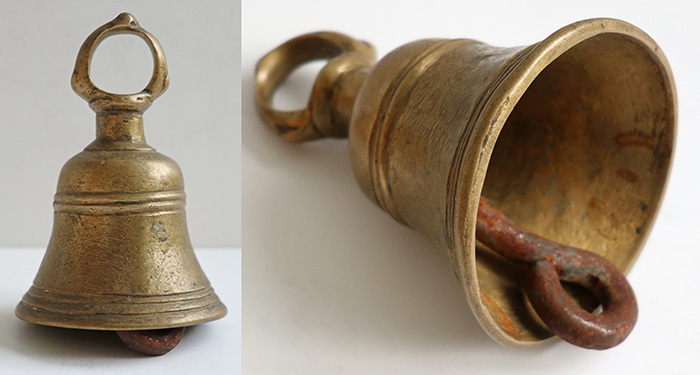 Each bell is a fascinating and beautiful object in its own right, with the look and feel of antiquity…but perhaps more importantly, when it is rung one can sense the spiritual energy, power and purpose with which it is imbued, and the present ineffably connects to the past. 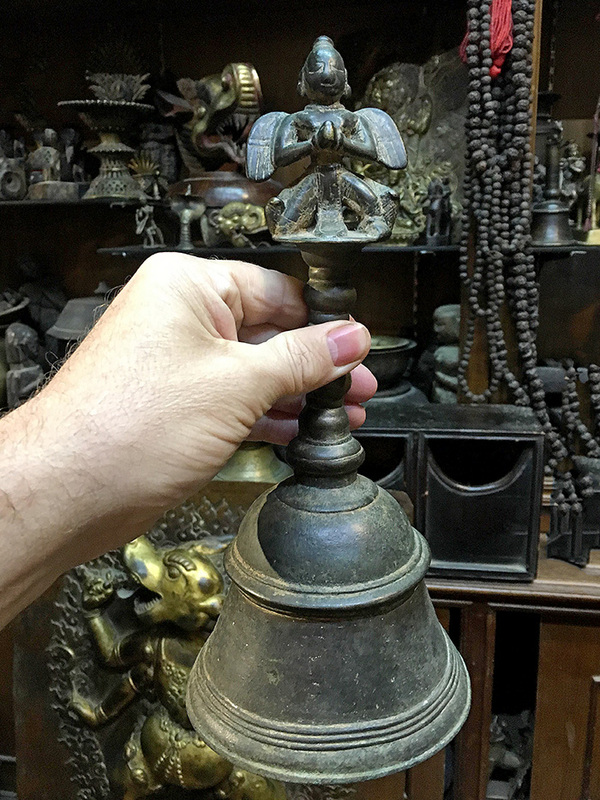 This exceptionally large, rare and beautiful antique bronze Temple Bell (Ghanta) was found in an antique shop in Kathmandu, and was very expensive. 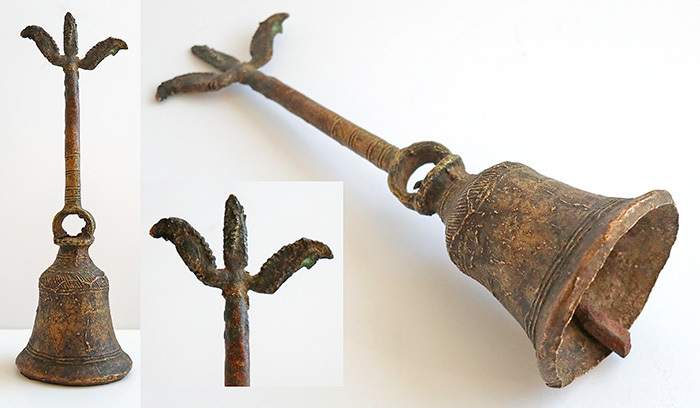 It would have been used by a Hindu priest in the worship of Lord Vishnu or his avatars as Rama, Narasimha or Krishna, and in Puja rituals to mark life passage events such as a birth or wedding, or at the beginning of a new venture. 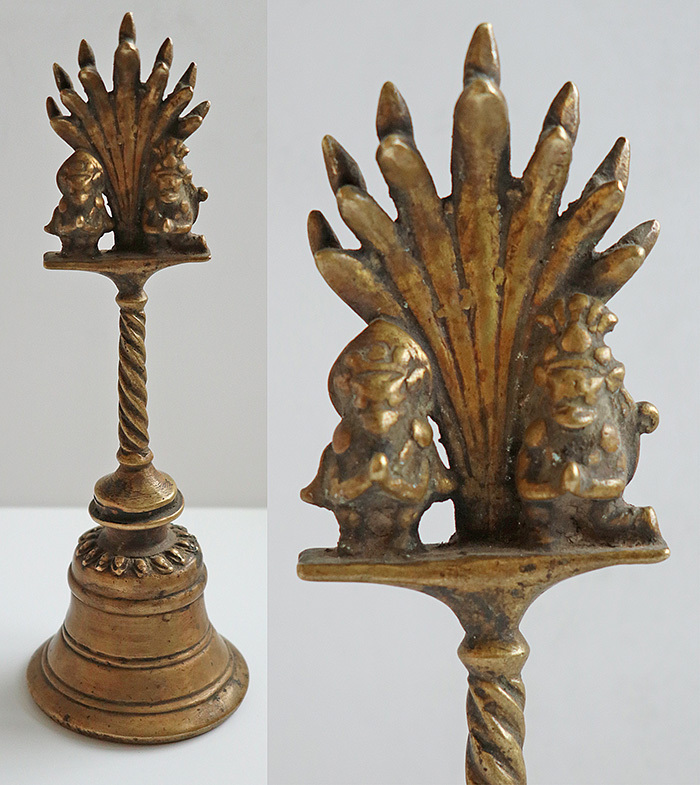 The top of the bell is adorned with the mythical humanoid Garuda bird, Vishnu’s mount. 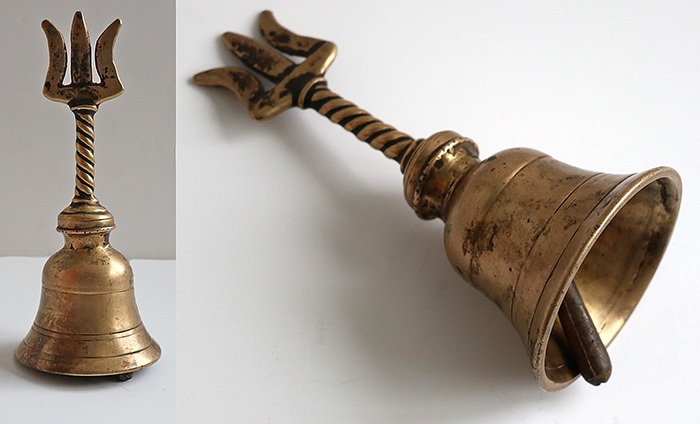 The ringing of a sacred bell informs a deity of the devotee's arrival and is considered auspicious. It is said to disengage the mind from ongoing thoughts and distractions and make it more receptive. From the Kundalini Yoga perspective, the sound of a bell energizes Chakras and balances the distribution of energy in the body. 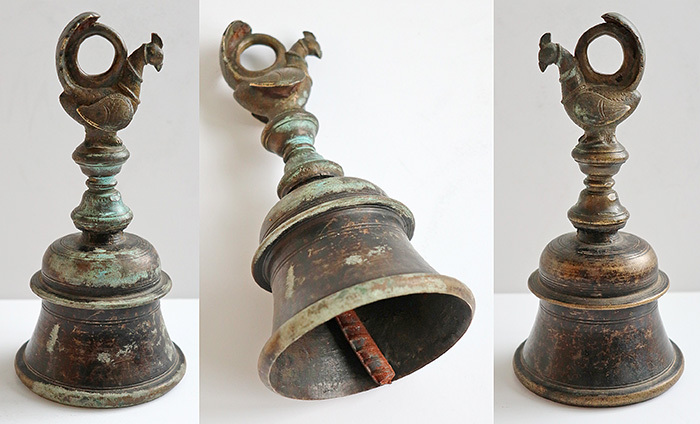 Antique Bronze Temple/Shrine Bell – Great Sound!